This template represent a basic SharePoint organizational structure. 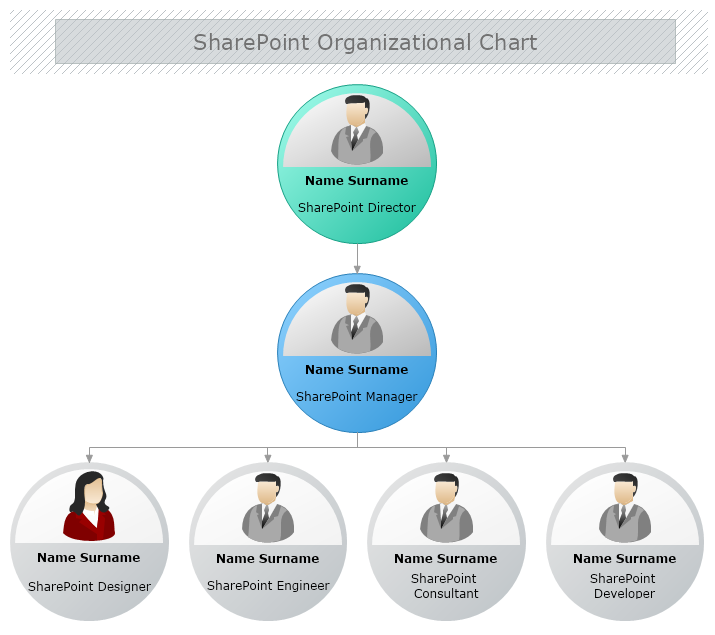 The example suggests that on the top of the organization hierarchical tree stands the SharePoint Director. Second of the top is the SharePoint manager who supervises the SharePoint designer, engineer, consultant, and developer. Is your SharePoint structure different? Download this free example and modify it with MyDraw so it meets your requirements.